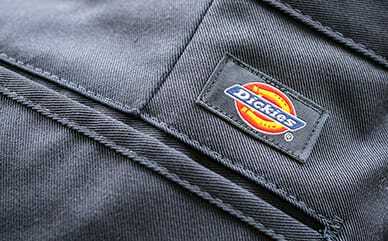 Keep the wind and water at bay with Dickies’ Snap Front Nylon Jacket. Featuring a weather-resistant shell and a polyester lining, this jacket has everything you need to keep your cool again wind and rain. A drawstring bottom and elastic cuffs keep out the cold, while the hand-warmer pockets keep your hands from freezing.